The original goal of Code 13 is to enhance the other factions in order to make the gameplay balanced and enjoyable, as well as pushing the SAGE engine to its limits, creating new models and stunning effects to further enhance Zero Hour's gameplay. 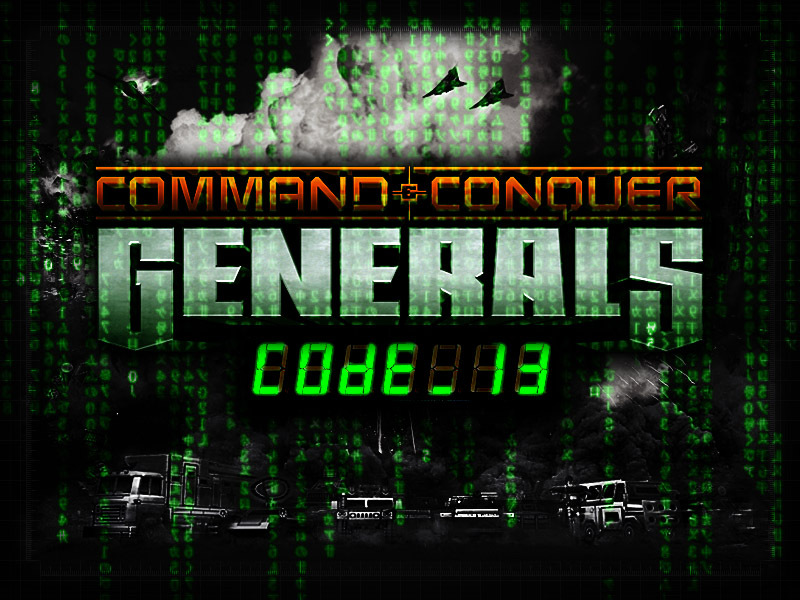 The full and final release of Command & Conquer Generals: Code 13! Be sure to download and test out the new Toys we have been developing for you! Carnage and destruction is ensured! The time has finally arrived, the Full release of Code 13 is ready for download! New Toys, General Powers, Maps and World Builder Objects are waiting for you to be explored, used and blown up! This is a good way to start the new Year with a big blast! Like it has been said before, this is the final release of Code 13. The Mod has come a long way and was started many years ago, initially it was ment to be a non-public C&C Mod. But thanks to the fans and alot of People from the nice C&C Community, Code 13 has become so much more. So at this point I would like to thank everyone that was involved with the Mod's Development. Alpha Zerox Headquarters wishes everyone out there a Happy New Year. Live long General. May you be victorious on the battlefield. I've been awaiting this for years, thanks! downloading. So anyone that could help it would be great, ive downloaded code 13 numerous times and cannot get it to work. im real confused and angry. where do i put the code 13 files? Hey , i have a problem!! !...i start the skirmish map, 2 players, me with air force general against china. the first map that is... after exxactly few(3-4) mins , the game crashes and a message displays that a "serious error encountered"........please help!!. i installed the game again! !..patched again!! and then extracted this mod..but still when i play...after 3-4 mins the game crashes!!! ....plzzzzzzzzzzz hellllllllppppppp!!!! Are you playing General vs. General? Where to put the files to play code 13? I put it where is game installed and i cant play it says there is runtime error. Do you have any other Mods Installed? Is your Zero Hour patched to 1.04 ? I WANT MORE! MORE!! MOÓÓREÉÉÉ!!!! The Passwords you gave me, are not right?